I know we love them dearly but men can be some of the hardest to buy for at Christmas. Especially when it comes down to filler presents. Luckily, in this house, we've established a handy hinting method wherein Mr Style Guide simply tells me what he'd like. I'll usually try my best to source his request but then I have to admit, I like to pop in a few unexpected presents that I myself have put some thought into. Through the years, I've been surprised at some of the choices Mr Style Guide has thrown my way. The traditional graphic novels and album specials have been sidelined for the likes of a cosy dressing gown or some new shoes. Seems I'm rubbing off on him! 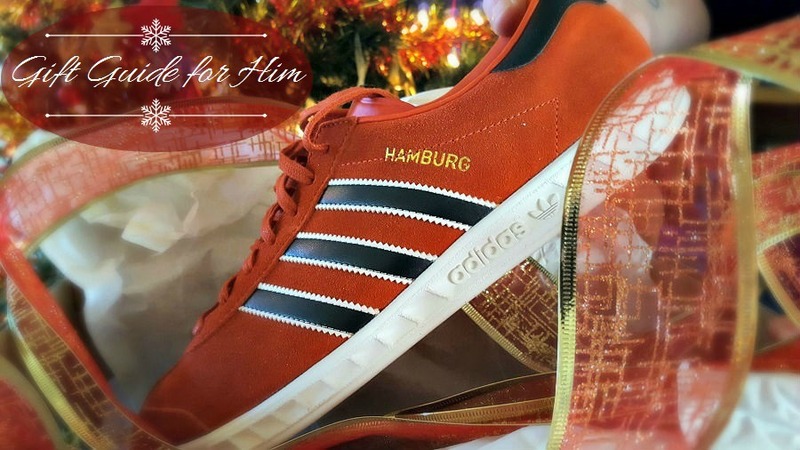 Take these stunning Adidas Original Hamburgs for instance, I never in a million years would have thought my own love of red shoes would be mirrored by my husband and yet, they were top of his picks this year round! 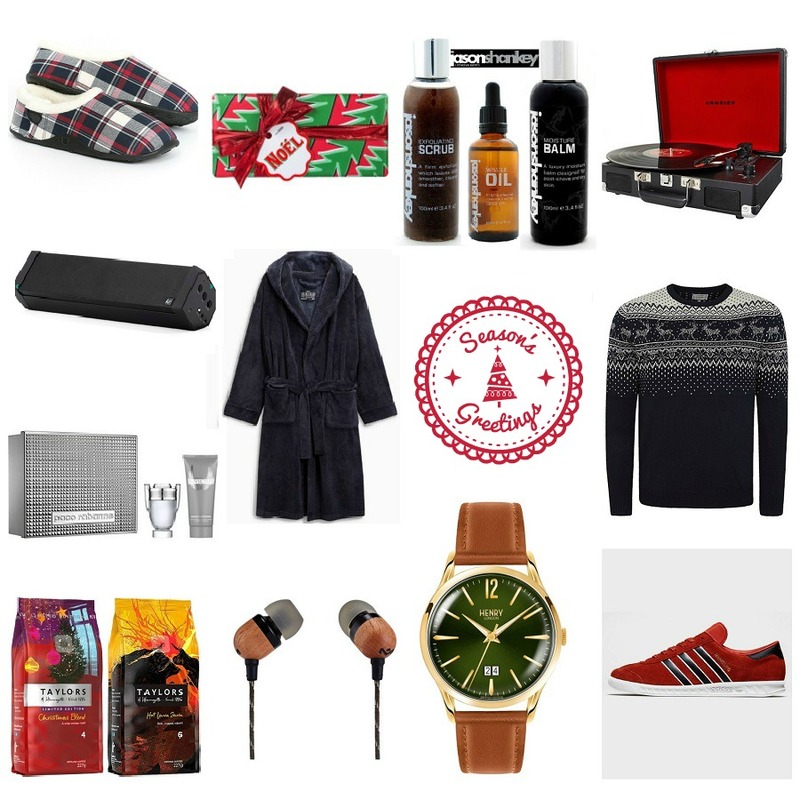 To make things a little easier for you, per chance you're sat browsing at home and you've gone around in so many circles trying to buy for the fellas in your life, I've compiled a gift guide for him based loosely on gifts that have gone down well in this house during recent years. I find as long as you don't overthink it, present wise, you can't really go wrong with the basics. 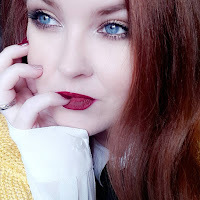 A few tips I can pass along from previous years; Homey's are the best slipper brand either I or Mr Style Guide have ever tried, sturdy and durable yet incredibly comfortable to wear. They honestly feel like a hug for your tired feet. Coffee is always a good bet if you have a coffee lover in the house and Taylors of Harrogate's Hot Lava Java is THE blend for robust coffee connoisseurs, though their Christmas blend is pretty special also! If you're going down the dressing gown road (everyone loves a bit of hygge!) the firm recommendation from our home is to opt for one of the hooded options from Next, they're so beautifully soft and warm, so much so I steal his sometimes. The Noel Gift Set from Lush is also a great option because it does all the work for you, a gift box that includes some shower jelly, shampoo bar, soap and more wrapped up in a nice festive bow, and don't go ruling out skincare as a gift option for him anymore! We're seeing a huge surge in men starting to take more of an interest and incorporating skincare into their routines and a I guarantee a few bits from The Jason Shankey Skincare Range would go over a real treat. I know I struggled for a while in buying himself shoes because they can make it so tricky with how fussy they are (you KNOW it's true!) so believe me when I tell you the range of Adidas Footwear available at the moment is a pretty good bet. I'm told they feel as though they're made specifically for your feet and it's ''like walking on clouds''... I'm only a little jealous his are not in my size! May the shopping odds be ever in your favour this Christmas and remember, above all else, DON'T STRESS. Don't let it get on top of you. Set your own pace and remember, we are in a position of privilege where we CAN take the time to really enjoy Christmas, there are so many in the world who are not in our position. Don't sweat the little things. Gifts are given from the heart therefore you will always choose the right present. Don't forget to check back for our last two gift guides popping up this week!